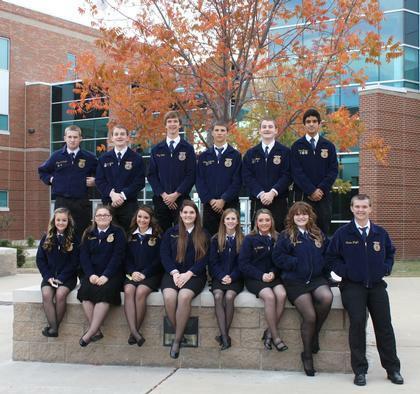 Celeste FFA participated in the District IV Leadership Contest on November 14th and advanced 5 teams to the Area competition. There were 26 Celeste FFA students that competed in one or more events, and all 26 moved on to the Area contest. Celeste FFA competed against every school in Hunt and Kaufman Counties. Each year at the conclusion of the contest all the points for each event entered are added up, and a Sweepstakes Award is given to the top 3 schools. Of the 18 schools in the contest, Celeste tied with Commerce for 2nd overall in the Sweepstake Award.